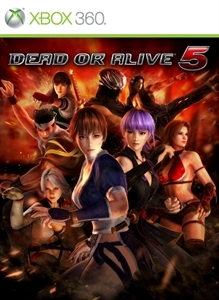 The evolution of 3D fighting games kicks into high gear with Dead or Alive 5! Fighting Entertainment redefined! 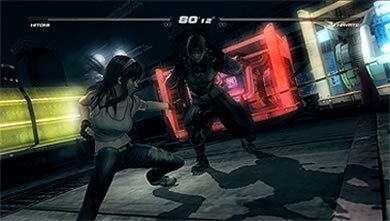 Dead or Alive fights are more than just strikes and throws. You have to know how to use holds too. 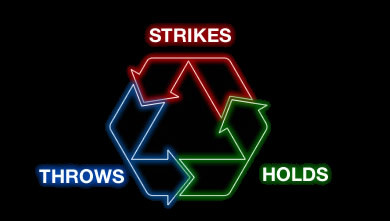 Right when your opponent throws a strike, do a hold to deflect it and attack them back for a lot of damage in one move. 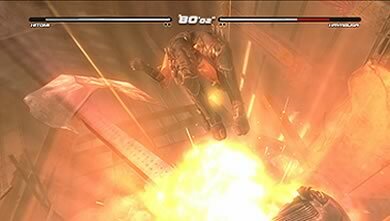 Two fighters battle it out as the walls around them crumble, generators explode, and entire buildings collapse beneath their feet! In Dead or Alive, you don’t just watch the blockbuster action, you cause it. Use the new Power Blow move to knock your opponent into the series’ signature Danger Zones to cause major damage and mayhem! This is a powerful move that lets you set a direction to blow your opponent away. Once the Power Blow hits, aim the camera left or right with the directional buttons/directional pad, then send your opponent flying! Do you knock them into a Danger Zone for certain damage, or do you send them off a cliff to try for even more damage - and risk doing none? How the hell have I missed seeing anything about this being released until now. Only 8 days to go!! !